Sand is one of the important raw material for infrastructure construction. With the depletion of natural sand resources, mechanism sand instead of natural sand has become an inevitable trend of industry development. 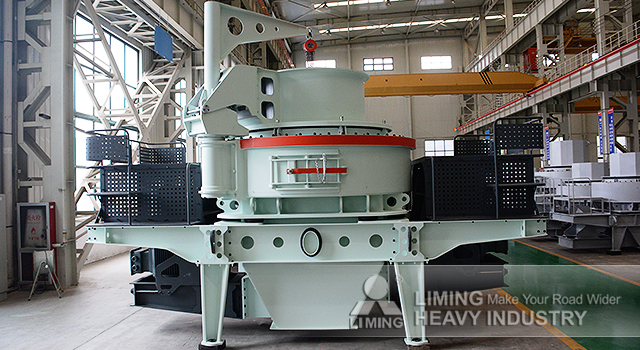 In order to meet the market demand, Liming Heavy Industry developed and produced the new sand making machine-VSI6X Series Vertical Shaft Impact Crusher. It can crush pebbles, granite, limestone and other raw materials to produce quality sand. VSI6X Series Vertical Shaft Impact Crusher adopts a new four-port design impeller structure, this can improve material throughput. In addition, it uses "stone hit" "stone blacksmith" principle, greatly reduces the wear and tear, reduces customer production costs. At present, VSI6X Series Vertical Shaft Impact Crusher has been successfully applied to many sand production line and stone shaping field in the world. With advanced production capacity, excellent finished products and perfect dust-removal measures, environmental protection standards, it has been widely praised by customers. More about the new sand making machine, please contact our online customer service. We will provide you professional production program and quotation.